This amazing article documents how human bite marks on a single victim, arguably by one suspect, are extremely inconsistent in pattern, shape of tooth marks and other details. Here’s a few questions. Would you look at the bite marks before looking at this suspect’s teeth? Which mark would you pick to compare to the suspect’s teeth? If you pick one, why did you not use any others? Is it because one shows more teeth marks? Of course. Doing anything (like “matching” or “suggesting” or “including” or “excluding”) beyond this then requires you to assume that this one mark is a correct representation of the biter’s front teeth physical characteristics (and the other marks are NOT). That’s where all the mistakes start by the “skin-reading” bite mark experts. 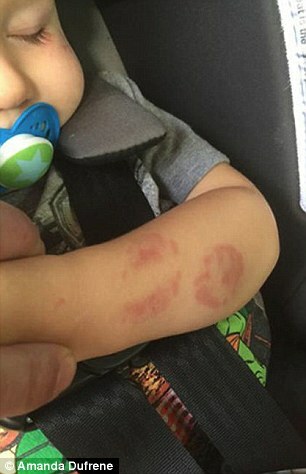 This case also proves how human bite marks can cause serious infection.